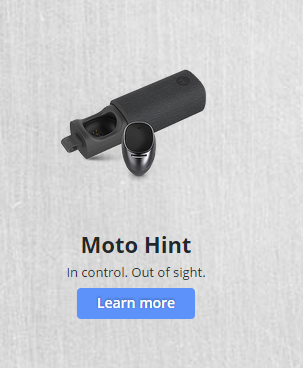 Motorola's new 2014 series of products is set for an official announcement on Motorola.com in less than an hour, but here's something we haven't seen before: the Moto Hint. It appears to be a pretty standard Bluetooth headset, plus a custom carrier or charger cradle (or both). Considering the emphasis that Motorola is placing on voice control, not to mention the company's own history with radio and Bluetooth hardware, it fits in surprisingly well. The Hint doesn't seem to offer anything special in terms of capability, beyond the fact that it's unusually small. 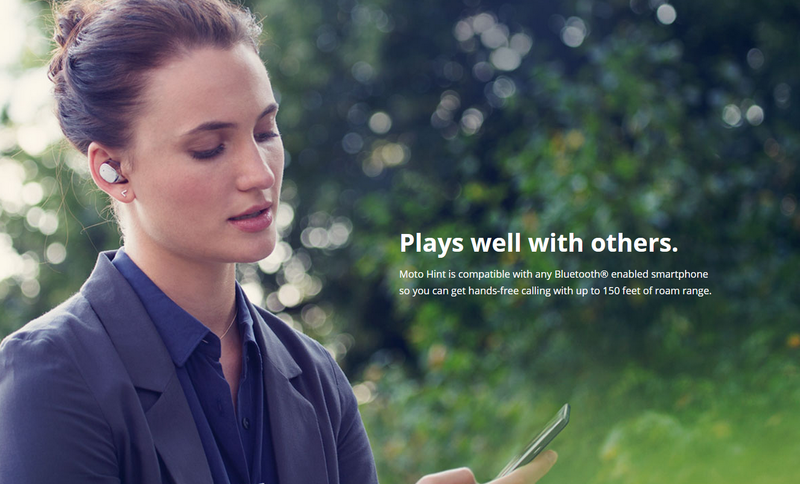 But the preview image on the website looks like it has a wooden accent (real or fake), lining up with the wooden rear cover options on both the 2013 Moto X and the latest model (AKA the Moto X+1). We don't know if the Hint will be part of the Moto Maker customization site, but we should see the details very quickly. The standard "press" image shows a black cover. Is anyone else getting a vibe from Spike Jonze's Her? Update 1: Video time. It looks like Motorola's Touchless Control is being updated with new capabilities, like the ability to post directly to Facebook with a voice command. 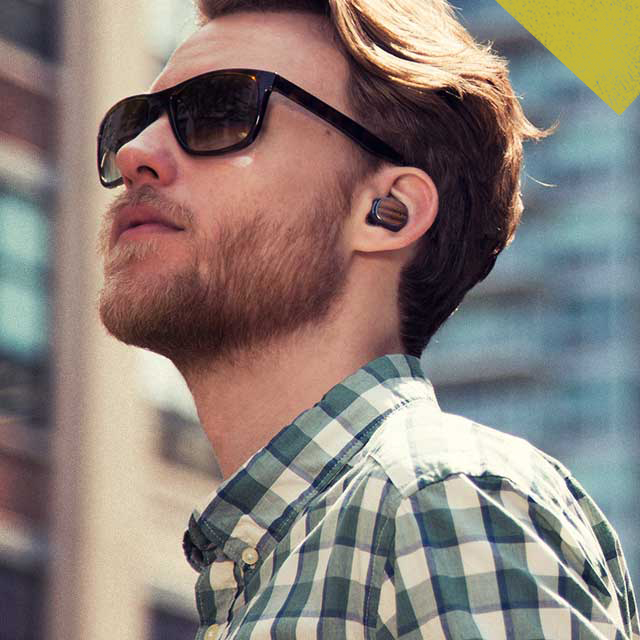 I still don't see anything that shows the Hint to be anything more than a small Bluetooth earbud. 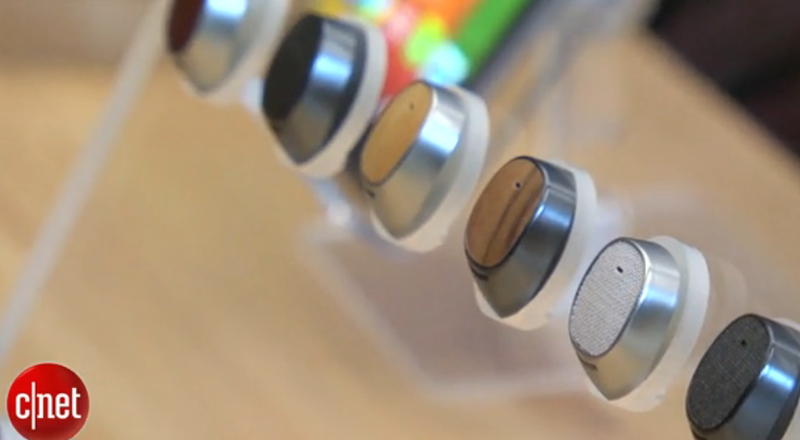 Update 2: According to this 90-second Cnet video, the Moto Hint is a pretty standard Bluetooth headset, with a few interesting additions. One, it comes with a charging case that will top off the 10-hour internal battery three times and can be stored on your keychain. 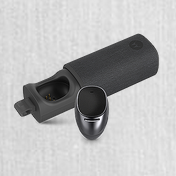 Both the Hint itself and the battery case come in a variety of finishes, and the earbud will auto-detect when it's been inserted via an IR senor. 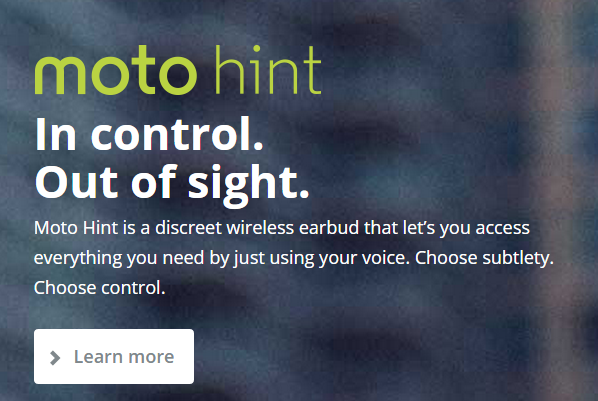 According to Cnet, the Hint will debut with the new Moto X later this year for $149.99. Update: 3: It's official. The Motorola Hint is designed to work with the voice control features of the Moto X, and should be able to perform the usual Google Search/Now functions as well as custom actions tied into Motorola's API. The Hint will also work as a standard Bluetooth headset for other phones, but it only gets the magic sauce for the new Moto X. The Hint uses the standard Bluetooth profiles, including A2DP 1.3, which means it should be able to stream (mono) music. 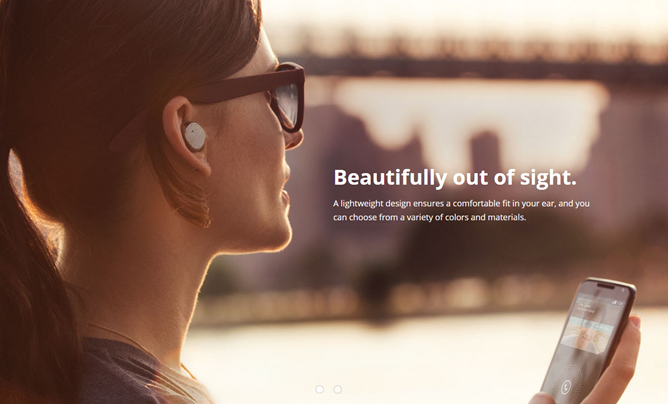 The earbud includes infrared sensors that will automatically turn the device on and pair it with your phone when you insert it into your ear. How cool is that? 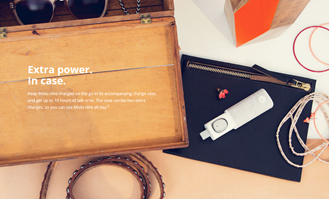 The Hint comes with a case that doubles as an external charger, good for two extra charges. Motorola claims that the Hint will last for 10 hours in use and 100 hours on standby. The Motorola Hint will retail for $149.99 in a variety of colors and finishes. Unlike the Moto G and Moto 360, availability is marked as "coming soon."